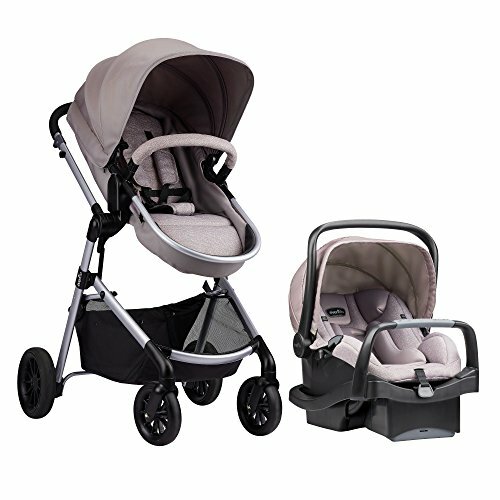 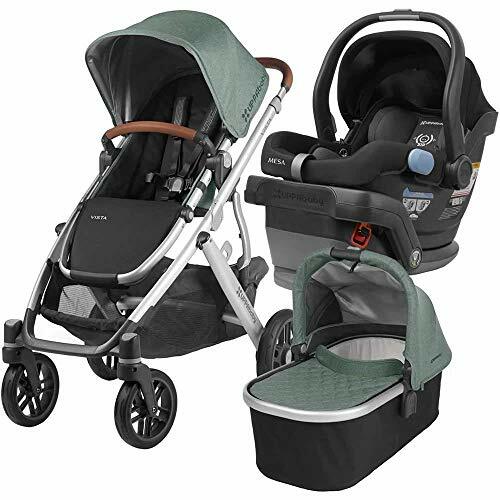 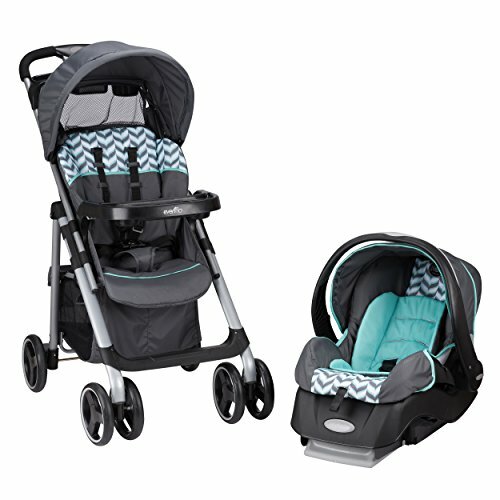 Check out this Graco FastAction Jogging stroller. 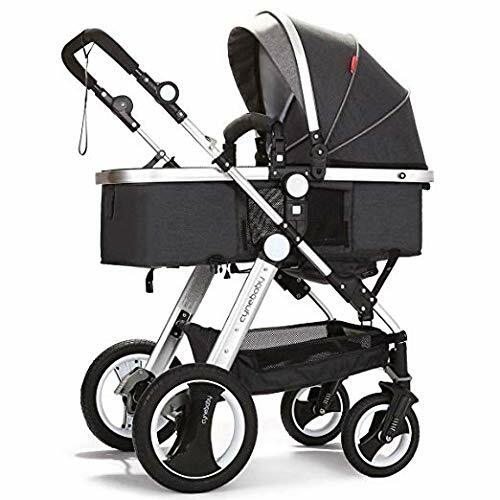 The 3 wheel design with suspension makes for a smooth ride plus the front swivel wheelcan be locked for easy transition from strolling to jogging. 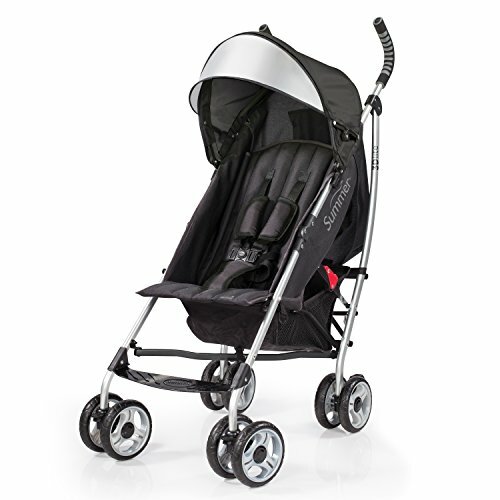 The stroller features one-hand folding that automatically locks and is self standing whenfolded. 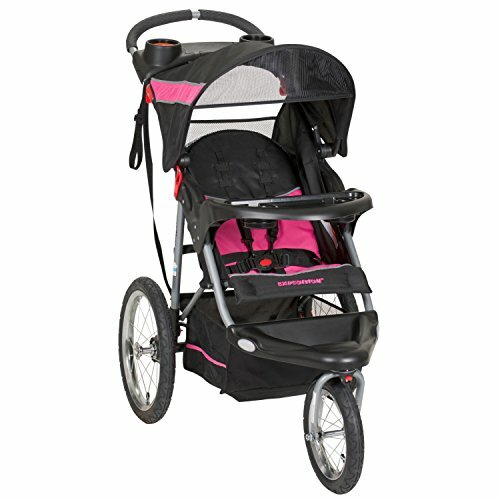 It can fit children up to 50 lbs and has aconvertible 3 or 5 point harness for safety. 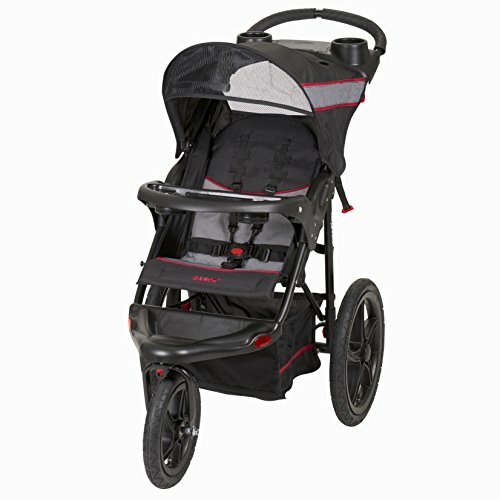 This stroller has a convenient, mesh storagearea underneath as well as a hidden storage area under the parent’s tray. 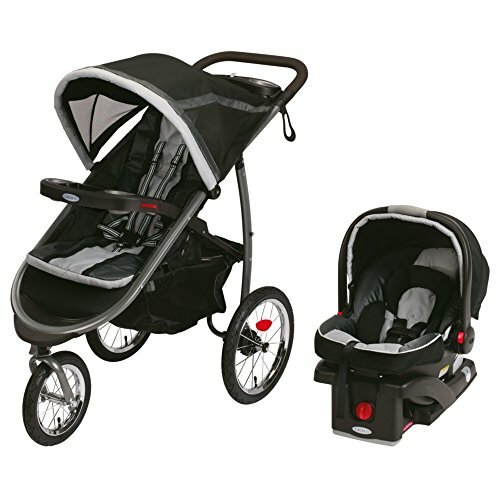 The tray alsohas two cupholders and a cell phone holder. 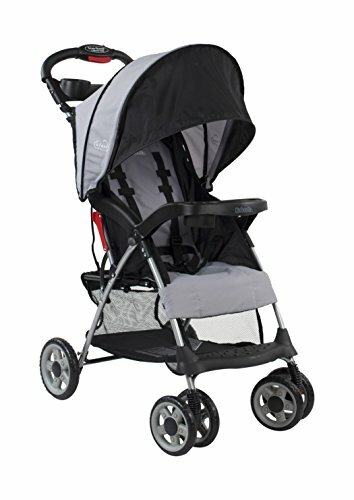 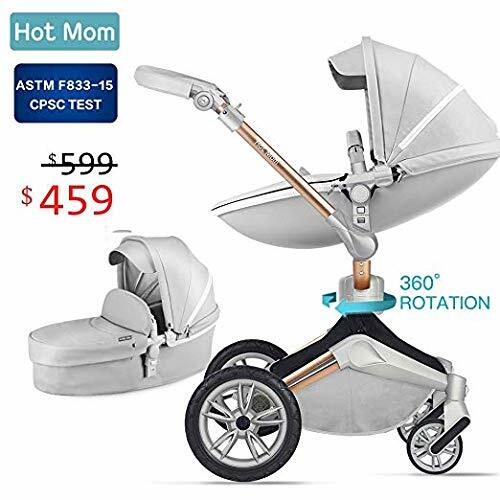 This stroller comes with a 1-year manufacturerwarranty against product defects.